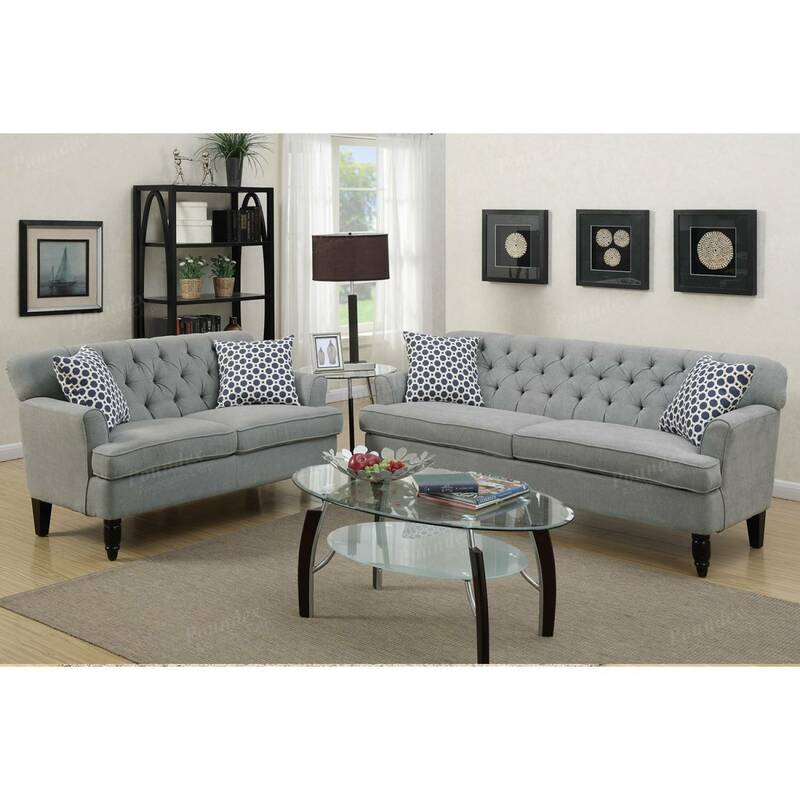 City life hasn't looked so good until this 2-piece sofa set that features velveteen units with accent tufting sharp lines and short leg supports. 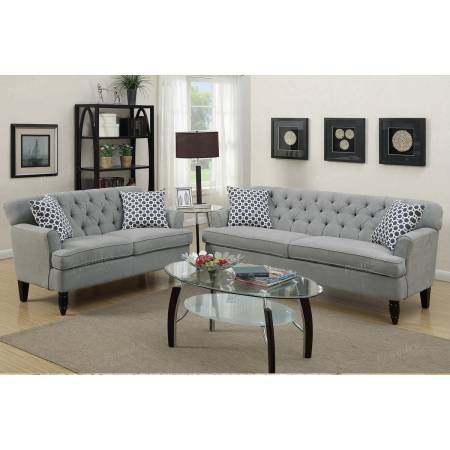 This sofa set also includes accent pillows. Available in taupe, slate or dark brown. 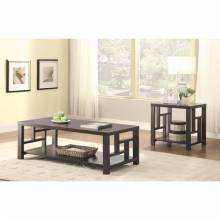 Item DescriptionWith a unique window pane design on its sides, this end table highlights Asian influ.. 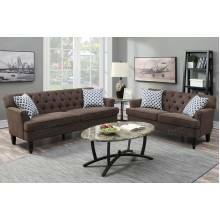 The contemporary styling of the Homelegance Vestavia Collection provides a unique platform from whic.. Item DescriptionThe tall headboard of this elegant upholstered bed is beautifully accented with a bu..